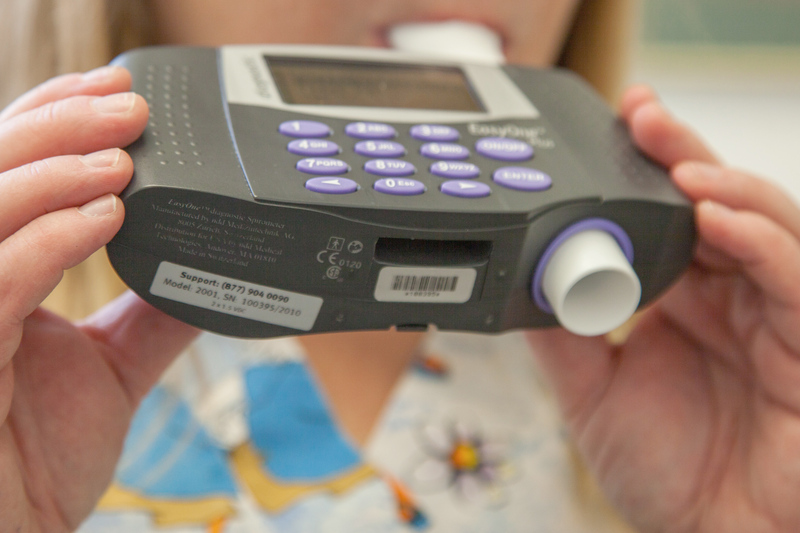 Spirometry is the most common breathing test, and measures how much air you can breathe in and out of your lungs and how fast you can breathe the air out of your lungs. 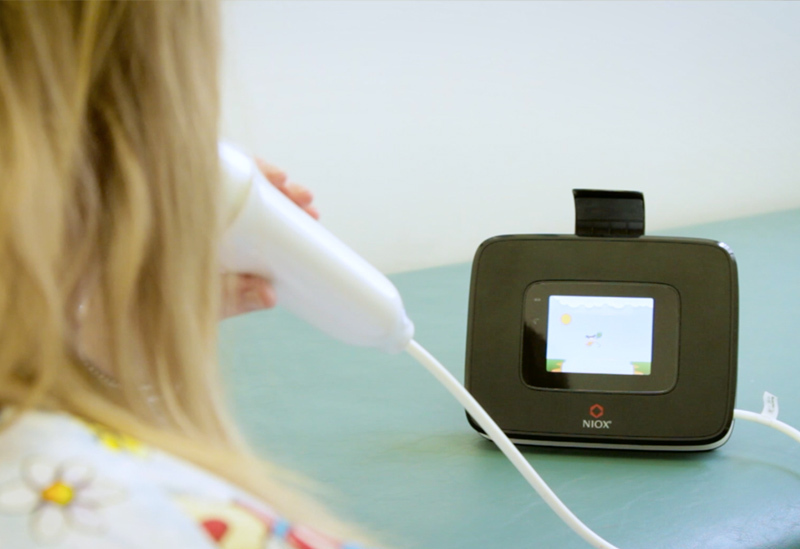 For this test you will use a tube connected to a machine called a spirometer to breathe in as deeply as you can, and then breathe out as hard and as fast as you can. We may use spirometry to find the cause of symptoms such as a long-term cough, noisy breathing (wheezing) or trouble breathing, check if a known lung condition is mild or severe, or changes over time, or check how well your inhaler medicines are working. Pulmonary Function Testing	Overall rating:	5	out of 5 based on 4	reviews.